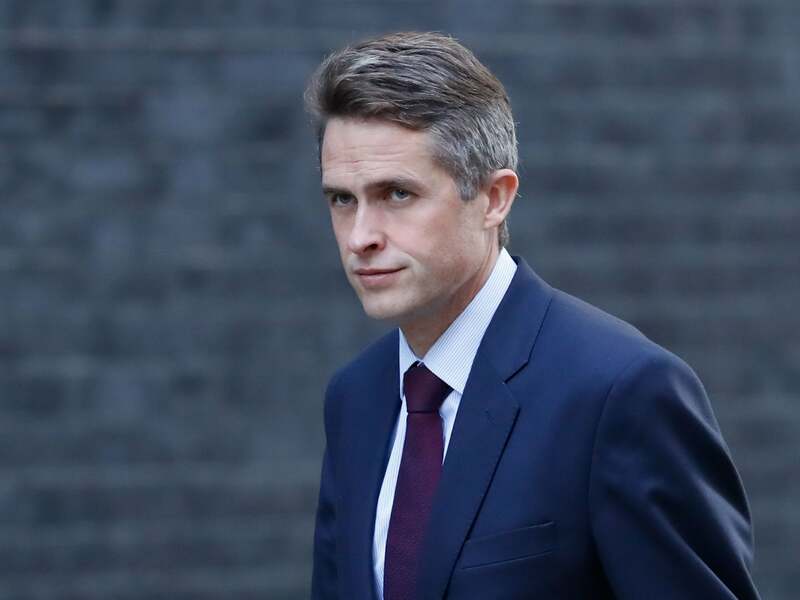 As a long standing military man, Gavin Williamson will have immediately seen it as a bit of a Catch-22 situtation. You’re Gavin Williamson, you want to give a speech about how Britain is a great country and shouldn’t be afraid to bomb the s**t out of anyone. Trouble is, everyone watching you saying, over and over again, that Britain is a great country, will also see that the man in charge of Britain’s armed forces is a former fireplace salesman who could not strike fear in to a bowl of Rice Krispies. Britain would be a great country if only Gavin Williamson got his way, but if Gavin Williamson got his way, Gavin Williamson would be in charge of it. So it wouldn’t be a great country at all. In fact, there’s a lot of this Catch-22 stuff going around. For example: you want to get out of being prime minister because you’ve clearly gone insane. But if you’re sane enough to show you’re insane by making Gavin Williamson defence secretary then you’re not insane after all. Sometimes, in the political sketch writing business, the similes can be somewhat strained. Not on this occasion. It’s not so much that is was like watching an excited little boy explain the functionality of his show-stopping Christmas present to a bored grandparent on Boxing Day. It’s that the speech only finished an hour ago and I am already struggling to prevent it from merging in my memory with precisely that incident. Indeed the challenging bit is to try and compute that all the available evidence strongly suggests that this was real life. That it really was the defence secretary up there, coming out with this stuff, issuing grave sermons about Britain’s place in the world, “since September of the 11th”. (Yes he really did say that). He was here to say that Britain “should not be afraid to use hard power”, in other words, that little Gavin is not afraid to play with his toys. If we did not do so, Britain would be seen as “a paper tiger”. Oh Gavin. How to put this? We’re not even a paper tiger. We’re a paper Gavin Williamson. We are currently the nation the world turns to when it’s in need of a good laugh, and to be fair to little Gavin, he more than pulls his weight on that front. It's possible this will not always be Britain's place in the world, but one thing will have to happen first. We will, finally, have to work out that our future simply does not lie in deluded fantasies about Britain leading the world. It lies in precisely the same place as our recent past, as a small but great country, amplifying its position in the world through showing leadership in the institutions of the European Union.